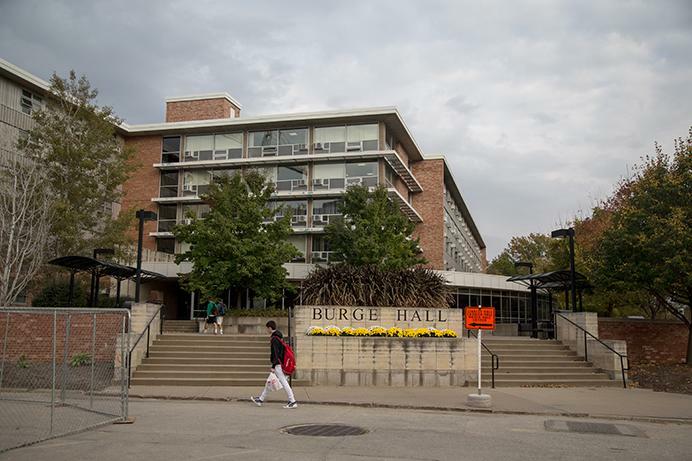 The East Side residence hall some students affectionately refer to as “Dirty Burge” could potentially get a facelift. 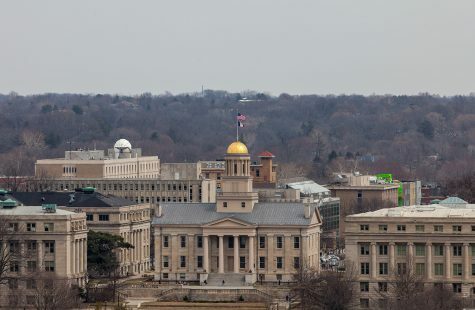 Rod Lehnertz, the University of Iowa senior vice president for Finance and Operations, proposed the UI’s request to renovate the five-story Burge at Wednesday’s state Board of Regents Property and Facilities Committee meeting in Council Bluffs. 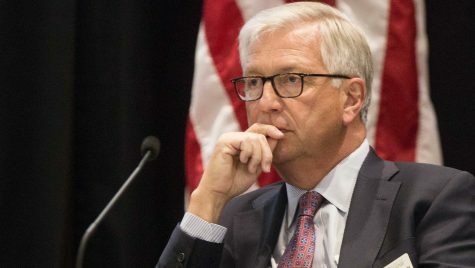 The full board will vote to approve the project today. 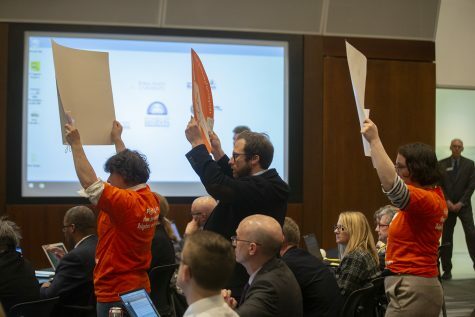 “As part of our ongoing effort to keep the residence halls modern and working well for our students, this would be a building-wide, multi-year project to do interior renovations and modernizations …” Lehnertz said at the committee meeting. 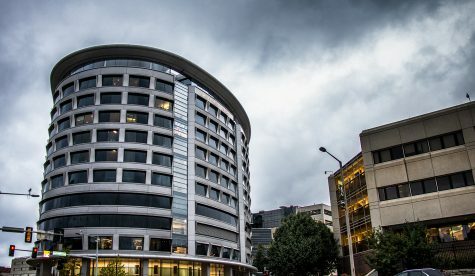 With construction set to begin during summer 2018, the project would be phased over a period of four summers and is slated for completion in the summer of 2021. 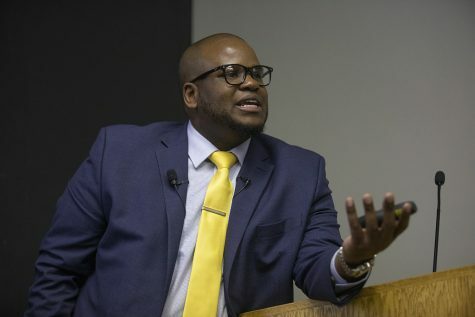 Money for the $7 million in renovations would come from University Housing Renewal and Improvement funds. 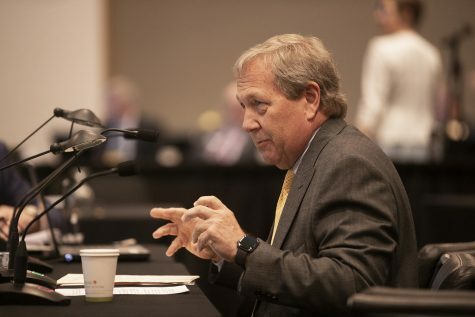 Renovations to Burge’s interior would replace finishes in student rooms, corridors, lounges, and elevator lobbies, according to regents documents, as well as vanities and related fixtures. Additionally, work would be done to replace piping throughout the building. Stanley, another East Side dorm, completed renovations in 2016 that changed the flooring in rooms to wood-style planks and included pod-style bathrooms that allow for more privacy. 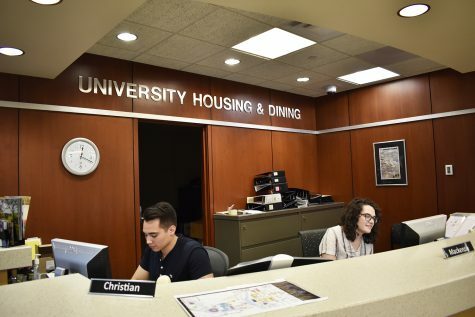 Jeff Aaberg, the UI Housing & Dining director of facilities and operations, said the decision to continue renovating residence hall rooms with hard flooring and pod-style bathrooms was based on input from students, who have generally favored these changes. UI student Megan Dillivan, who lives in Burge, said she thinks these changes would be beneficial to Burge residents. 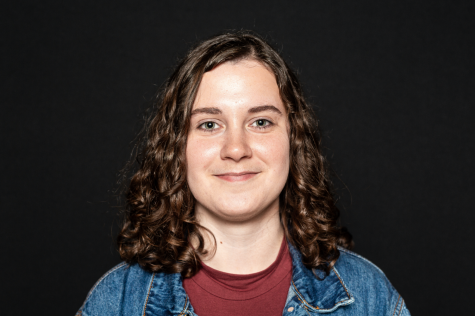 While Dillivan appreciates how spacious her room is, she said her initial excitement about living in Burge diminished after living there for almost a full school year. 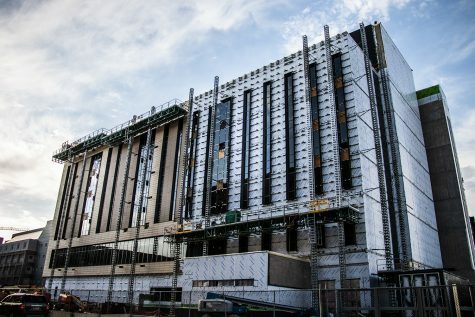 As other residence halls have been constructed, such as Petersen, which opened in fall 2015, and Catlett, which will be open this fall, students’ expectations for their residence halls’ appearance have changed. “Sometimes I look at the other dorms, like Petersen, like ‘Why can’t my room look like that?’ ” Dillivan said. She said she felt the experience of living in Burge lives up to its nickname because of its uncleanliness. 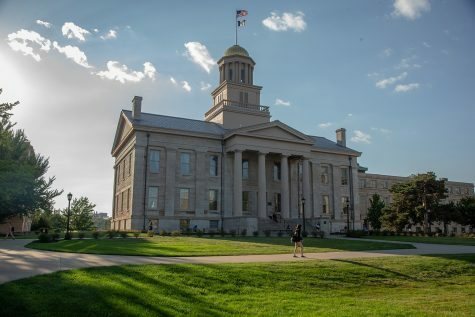 To give students the best living environment possible, Aaberg said the UI has a vision of renovating the residence halls over time to give students a good space no matter where they are located.